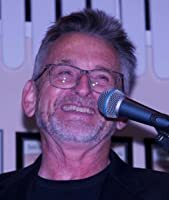 Firstly I have to say that this short story has been written my Malcolm Hollingdrake to honour the men and women that have served and continue to serve our country. One hundred years ago, on the eleventh hour, of the eleventh day, of the eleventh month, 1918, WW1 came to an end. The proceeds of this short story will go to The Royal British Legion. A very worthy charity. 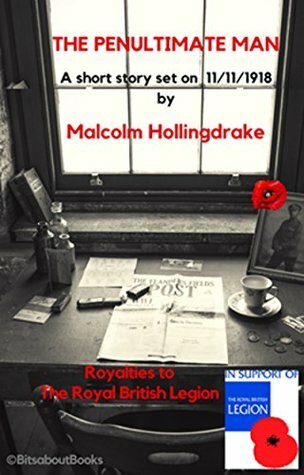 How can anyone capture a life in so few pages, I really don’t know if you could in a thousand pages but Malcolm Hollingdrake captures the essence of honour, love and hope in this young soldier who had everything to look forward to. Tommy was serving his King and Country, a young man who had seen so much death in war that now he was much older in years than any calendar could ever hold. He never gives up because he has hope for peace and even on foreign soil manages to find love. The story is set on the last day as the hour for the war to come to a close approaches. Tommy looks back at how he met the love of his life. Malcolm Hollingdrake’s story of Tommy is extremely moving, beautifully written and very visual. It really has been an honour to read this. Malcolm has written a number of successful short stories and has eight books now available. Presently he is concentrating on a series of crime novels set in Harrogate, North Yorkshire. Malcolm has enjoyed many hobbies including collecting works by Northern artists; the art auctions offer a degree of excitement when both buying and certainly when selling. It’s a hobby he has bestowed on DCI Cyril Bennett, the main character in his latest novel, ‘Crossed Out’. Books for the Harrogate based DCI Cyril Bennett novels.